To provide LPG cylinders to more and more people in the district, Ujjwala Panchayat will be organized at thirteen locations on 20th April. The gas companies will also participate in Panchayat. In order to make this a success, the Department of Civil Supplies has intensified the preparations. Officers of the concerned department said that in the rural areas of the district, attempts are being made to get the maximum benefit of this scheme to the people from BPL and Scheduled Castes and Scheduled Tribes. No fees will be charged for this. Still, a large number of people use fossil fuel to cook food which also causes environmental pollution and health also has adverse effects. Ujjwala Panchayat will be organized to make people aware about clean and pure food cooking habits and to keep the environment clean. Officials of District Supplies Department said that Gram Swaraj campaign is being organized in the district till 14th April. Ujjwala Panchayat will also be organized under the campaign. Application will be taken from different people in Panchayat after that they will be selected for the Ujjwala scheme. All documents verification will be completed by selecting the character only in Panchayat. 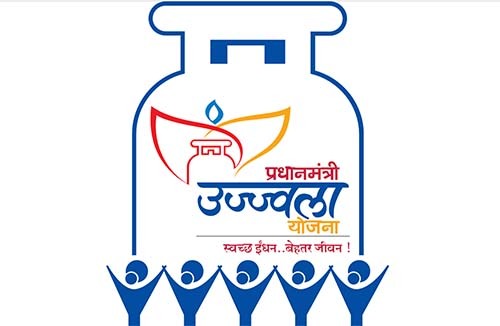 On the second day of the selection LPG cylinder will be provided to the beneficiaries. In this scheme mainly people who belongs to BPL and SC/ST category will be selected. Thapkheda Bisarakh, Amka, Chakrasanpur, Raipur Bangar, Chachura, Uthavali, Mohammedpur Jadav, Rabupura, Bhikanpur, Ramner, Allauddinpur, Bhagwanatpur Chhatanga, Dhanasia all these village will be hosting Panchayat.